As someone with oily skin, I find that I do so much to make my makeup look more matte and often it can look really dull. As you can see from previous posts I have been experimenting with some highlighters to give my skin a healthy glow without appearing too shiny. My issue with highlighters is that lots of them leave a big white patch on the skin or are packed full of glitter which is the last thing I want! I recently gave the bareMinerals READY Luminizer* a try to see if I’d found what i was looking for. It comes in a handy palette with a large mirror and a little leaflet inside which tells you where to use it. It’s the perfect size to fit into your bag or purse for quick touch-ups. I received the shade The Shining Moment which is a golden champagne colour. My initial thoughts were after opening it that this shade is all wrong for me, i’m extremely pale and I have no idea how to use it! After swatching the product on my hand I found that the colour is a lot more subtle than it is in the palette which was a relief! The mineral powder is so soft on the skin and really easy to apply. 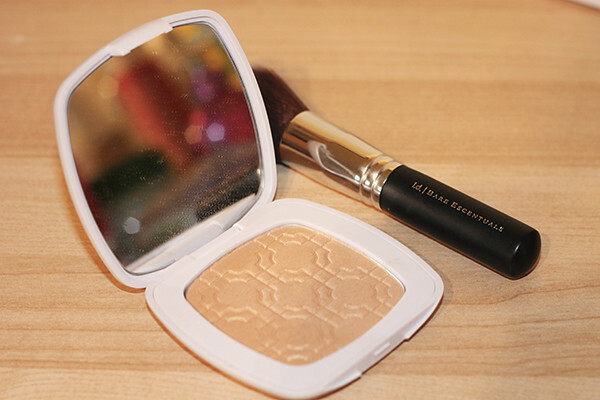 Mineral powder is actually very good for your skin so I don’t feel guilty about applying it! 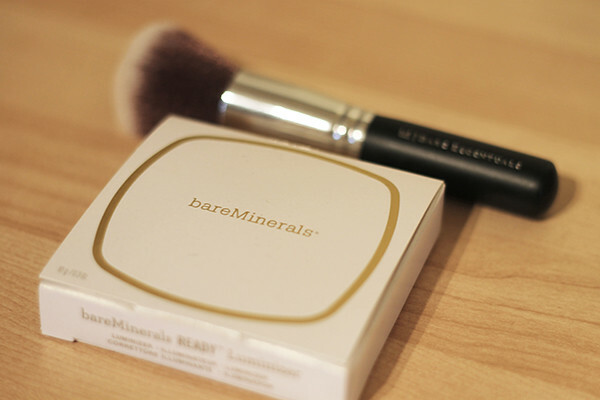 I applied it using the bareMinerals Soft Focus Face Brush* which is an extremely soft brush, hence the name! 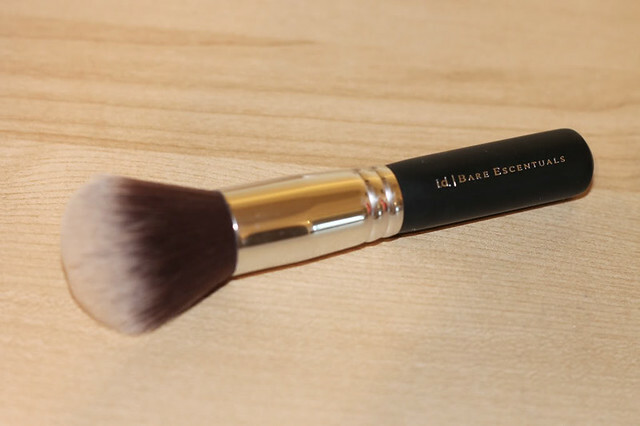 It picks up the powder so well and applies in a very gentle sweep across the face. If you’re looking for a great high quality highlighter I’d highly recommend this one. You can purchase this product for £26, which for a 10g product is very reasonable, you won’t run out if this for a long time! I hope you enjoyed this post, please let me know what your favourite highlighters are.